Waitrose has won a prestigious international award for high standards, policy and innovation in its approach to farm animal welfare. The supermarket was named best retailer at the Compassion in World Farming (CIWF) awards in Milan on Tuesday. 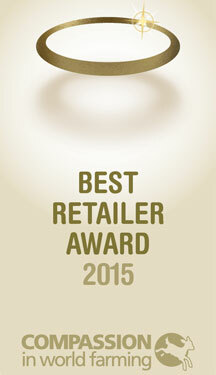 It is the fifth time that Waitrose has received the accolade since the biennial awards were established in 2004. CIWF based its decision on its European supermarket survey, which reviews specific animal welfare standards as well as policies and innovations. Retailers from four countries took part in the appraisal. The survey scores retailers on five specific areas – broilers, laying hens, pigs, dairy cows and calves – and on a company’s overall approach to farm animal welfare.